Replacing a 4 stroke cylinder kit on a Maxi Scooter is normally a costly affair with the OE parts often running in to several hundred pounds. VE have introduced a cylinder kit for Yamaha 250cc scooter engines that helps reduce the overall cost of replacement. 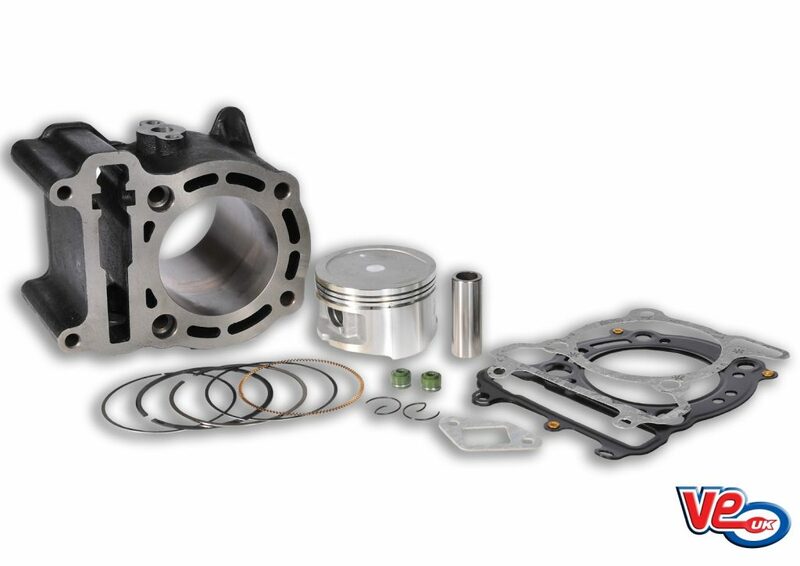 The new cylinder kit is manufactured from cast iron and is supplied with cylinder, piston, piston rings, gudgeon pin, piston circlips, valve seals, and a top end gasket set. This entry was posted in Automatic Parts and tagged 250, 250cc, cylinder, kit, standard, yamaha. Bookmark this page.